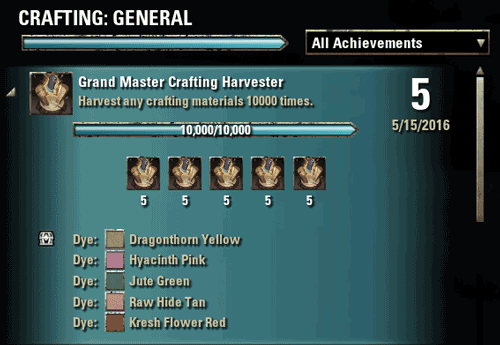 ESOTU Master Crafter Achieves Final Crafting Achievement! One of my personal goals has been met. My master equipment crafter achieved his final crafting achievement toady. A scary fact is that this is the third character I that has achieved this harvesting achievement for 10,000 times. One’s hoard is simply not built in a day.